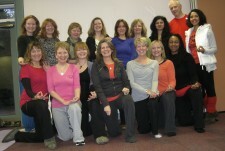 A 500 hour teacher training course from the British Wheel of Yoga, governing body for yoga in England. The British Wheel of Yoga is the Governing Body of Yoga in the UK as recognised by Sport & Recreation Alliance (formally Sport England). For over 50 years it has promoted the practice and enjoyment of yoga for all. The BWYQ Level 4 Diploma in Teaching Yoga is recognised the world over as being the benchmark for yoga teaching. It is a comprehensive course which takes place over 2 years (minimum), covering 500 hours, of which a minimum of 255 hours are tutor contact hours. The British Wheel of Yoga Qualificatioins Level 4 Diploma in Teaching Yoga consists of eight Units that together lead to a full Diploma in Teaching Yoga. The course is a combination of Tutor-led contact days and home study. In addition there is a requirement for a qualification in anatomy and physiology either by completion of the BWY home study course ‘Essential Anatomy and Physiology for Yoga’ or other equivalent study. You will be asked to visit the website to complete the Fundamentals of Anatomy and Physiology Course either before you begin the Diploma Course, or during the first three months of the course. The aim of the Diploma course is to equip you both professionally and practically to teach yoga asanas, breathing practices, pranayama, relaxation and concentration/meditation to students having a wide variety of capacity and experience, with an underlying knowledge and understanding of yoga principles and philosophy. You are also expected to continue to deepen your understanding and knowledge through your own personal practice. Whilst course teaching is Tutor-led you are expected to develop as a reflective self-evaluative practitioner and teacher of yoga. As a consequence you will be actively involved throughout the course, in the teaching and learning process, in group work, and in your own home study and practice. You will be asked to reflect upon your own teaching and practice and develop your own evaluative skills to build on your strengths and address areas for improvement as needed. In this way you can develop as an autonomous teacher of yoga. The course is non-graded with the emphasis on competence to teach yoga. All written assignments will be either ‘pass or refer’. If a piece of your work is referred, you can re-submit the assignment when the necessary amendments have been made, subject to the rules for referral and resubmission of written work. Your tutor will support and advise you through this process. As well as completing assignments, you will be observed on your teaching practice. This can feel a stressful experience, but please see it as a way of improving your teaching and enhancing the knowledge, understanding and skills you need to be a good teacher. All who teach, however experienced, can benefit from review of what they do. Some of the teaching practice is informally assessed, but where it is a formal teaching practice observation you will receive a ‘pass or refer’. If you are referred, you can be re-observed, subject to the rules for referred teaching practice. Your tutor will support and advise you. Along with the formally assessed assignments, your Tutor will set informally assessed tasks that may be in the form of group work, pair work or individual home study. Integral to this will be the need to evaluate your own practice, and progress through your own reflective self assessment and through the feedback of your peers. You are required to keep a portfolio showing your learning progress. During the course you are required to record at least 30 hours of teaching, planning, content, assessment and reflective evaluation. Your general class teaching begins in Unit 4 of the course, so you will need to be teaching classes by that time. You may choose to begin teaching earlier and this should be discussed with your course tutor. It will greatly benefit your learning and teaching to teach from the end of the first year for the duration of the course. You are expected to keep a record of all teaching you do. Also for at least three months during the middle part of the course you must keep a pranayama diary and establish a regular practice of pranayama. This need not be lengthy or difficult, but will form a foundation of understanding for your teaching. Your tutor will set suitable home practice tasks and may ask you to record specified details. As a foundation for study you will be asked to buy a selection of books. BWY has a list of recommended texts and your tutor will give you guidance on those preferred for their course. As a minimum you will need copies of the Yoga Sutra of Patanjali, the Hatha Yoga Pradipika, the Upanishads and the Bhagavad Gita, as well as books on asana, and books which contain information on breathing practices, pranayama, relaxation and meditation. Your Tutor is there to help and support you throughout your learning and to give feedback on your progress. Your peer group will also become a source of support, shared experience and shared learning. Other support and information is available through the BWY website, In Service Training events and Regional events held by the BWY. You are expected to attend all course days and you should only be absent for good reason. Except where Special Considerations are in evidence, you are required to register 80% attendance of the course. If you miss course days it is your responsibility to make up the content. This may be done in a variety of ways including extra tutorial time, or attendance at BWY recognised training days. Your tutor will advise you on what is most appropriate in the circumstances. You are also required to continue your regular yoga class attendance and to keep a record of this signed by your teacher. As part of your personal development you are expected to attend yoga workshops by teachers and tutors other than your diploma course tutor and to keep a record of workshops attended. The Diploma Course can be divided into three areas; Preparing to Teach Yoga; The Teaching and Philosophy of Hatha Yoga; and The Teaching of Philosophy and Meditation. Each area has its distinct subject matter and emphasis; however yoga is by its nature developmental and works on many different levels, so themes and concepts that are explored later in the course are introduced early on. 2 years of regular yoga practice with a recognised yoga teacher and ideally a BWY Foundation Course Certificate. If you haven't studied on a BWY Foundation Course please do still apply if you have a minimum of 2 years of regular practice. Good IT skills are essential. All work is presented and assessed electronically - you will keep an electronic portfolio of your work readily available for assessment purposes. You must be able to commmunicate by email. Successful completion of all aspects of the induction procedure. You will be required to complete the BWY anatomy and physiology introductory course (distance learning). This will need to be completed within the first 3 months of the course start date. If you already hold a recognised A&P qualification you may be exempt from this aspect of the course. A new BWY Diploma Course is in the process of being organised and is anticipated to commence in September 2019. To register your interest, please email rosemarypremabennett@gmail.com. The course will be held in south Liverpool, venue to be confirmed. The BWY is recognised by Sport England and The Sport and Recreation Alliance (formally the CCPR) as the National Governing Body for Yoga in England. As the NGB for Yoga we also accredit other organisation's teacher training programmes. Rosemary has been practicing and teaching yoga for over 36 years. She offers a weekly yoga class for all, private sessions and one-to-one tutorials. Rosemary is an experienced Diploma Course Tutor for the British Wheel of Yoga offering teacher training, workshops, seminars and BWY In-service Training. She is also trained to offer specialised classes for pregnancy as well as the Yoga for Healthy Lower Backs programme. Rosemary is an experienced reflexologist and Bowen Technique practitioner.